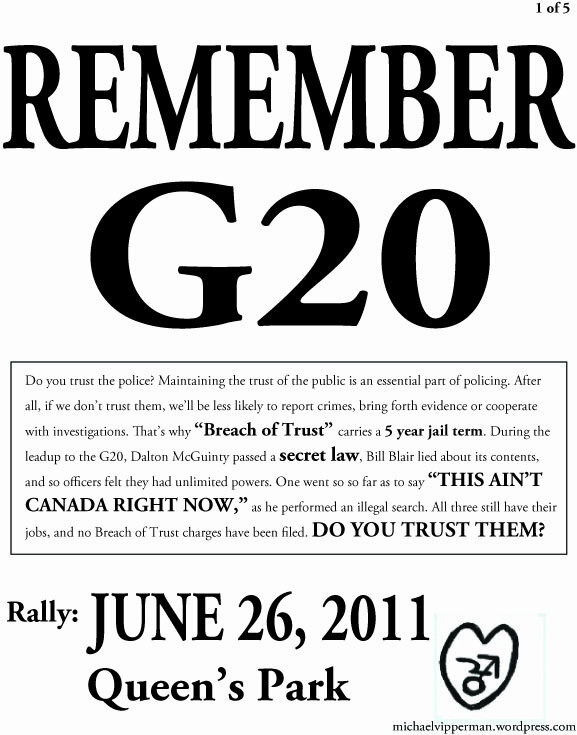 So last night I got a call from a man who’d done a bit of work with me hyping the G20 anniversary back in June. He apparently has a similar relationship to Occupy Toronto. I, on the other hand, have been sitting back and watching where it goes due to being extraordinarily busy, and to various concerns around the progress of the movement. The man who called me last night… well I guess he liked some of the posters I made for the G20 anniversary, so he offered me $75 to design him some posters for this. Not much for the kind of work, but hey, I was feeling slightly guilty for my lack of involvement, and really needed the money. Missed a couple readings but got it made. Print some and put them up! Thanks to several people whose permission I need to ask before mentioning you by name! Implications of the Toronto G20 for mass organising in Canadian metropolises. Radicalising or pacifying? Curve of participation in Occupy movement over time: sigmoid or bell?